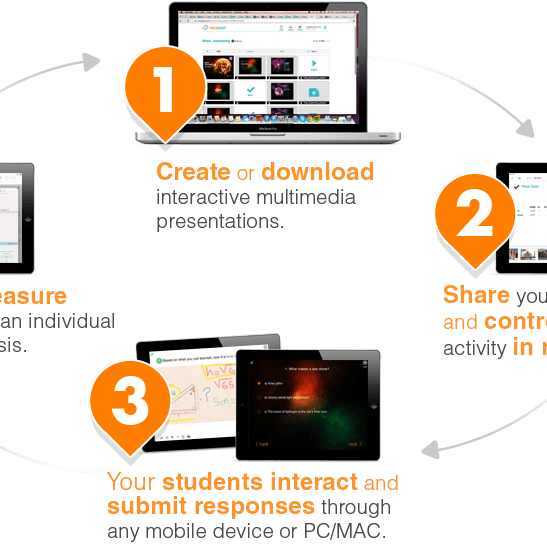 Nearpod allows teachers to easily create multimedia presentations with built-in interactive activities. Engage learners in lesson content by collecting feedback and assessing understanding using mobile or web connected devices in real-time without clickers and polling software! 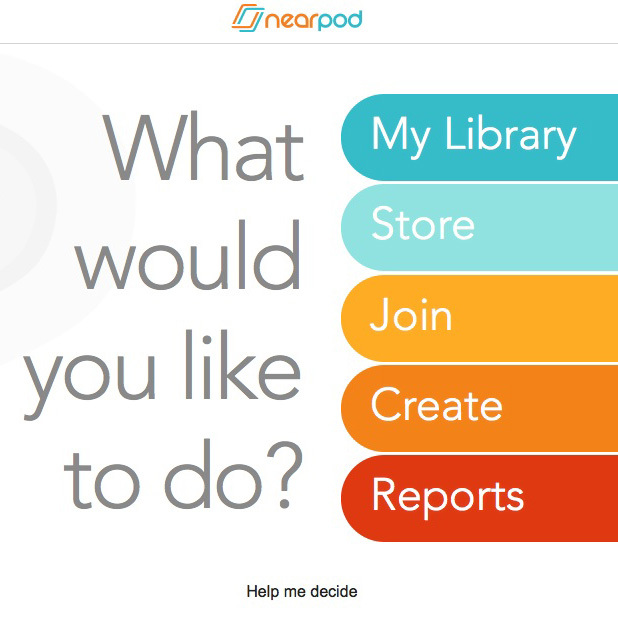 Nearpod, the all-in-one presentation solution is all you need! Free and upgraded accounts available. Standards: Review and Assessment. Tools: Pollings, Presentations, Quizzes. Disciplines: All. Grades: 3-5, 6-8, High School, Higher Ed.. Verbs: Apply, Choose, Describe, Identify, Illustrate, Relate, Select, Summarize, Understand. Nearpod is the ultimate CAT…classroom assessment technique! What makes this app the cat’s meow…the combo platter of powerpoint and clickers. Yes, that;s right…you no longer need to carry a box of clickers or ask students to purchase a response device. This app goes across devices which means anyone can use it if they have a smart device. So, what are you waiting for…load up your power point or presentation and start checking student’s understanding through polling, drawing, quizzing and much more! I LOVE Nearpod! You can create interactive presentations and keep students/participants on task by steering the way with Nearpod!